Ellis Injury Law firm has fought tenaciously to protect the rights of injured clients throughout Southern California for 25 years. Each accomplished personal injury lawyer at our firm litigates a broad range of complex cases and offer dedicated, focused representation for people in Irvine and the surrounding metropolitan area. A successful personal injury claim hinges on establishing another party’s negligence, whether you were hurt in a rear-end collision, were bitten by a neighbor’s dog, or slipped and broke your ankle on a waxed floor. In some injury claims, negligence is obvious, while others require the investigative skills and extensive resources of a well-heeled law firm. Without skilled legal representation, it is challenging if not impossible to make a claim for full compensation. Irvine Personal Injury Attorney- Andrew L. Ellis Andy Ellis is one of the most successful Personal Injury Lawyers in California. Meet Mr. Ellis and find out how he helps his clients who have a personal injury case. http://ellisinjurylaw.com. Our highly experienced lawyers advocate for you when dealing with insurance adjustors, and protect your interests at every juncture – from filing your claim to settlement negotiations and trial proceedings, if necessary. With an eye toward maximizing your legal recovery, our staff collaborates with accident reconstruction analysts, medical experts, investigators, as well as economic loss specialists and life care planners. In the wake of a serious motor vehicle collision, a car accident lawyer from our firm works with a team of industry experts to pinpoint liability and strengthen your case. We believe that all injury victims deserve competent representation in the courts, which is why we aim to level the playing field, giving our clients peace of mind in the knowledge that an aggressive advocate is fighting for their rights. We invite you to speak with our attorneys or visit one of our 20 California attorney locations for a confidential, no-fee consultation. The trial attorneys at Ellis Injury Law are experts in all facets of personal injury, premises liability and product liability litigation. Leveraging decades of combined experience and an impressive track record, our lawyers know exactly what it takes to achieve exemplary results. Founder and senior partner Andrew Ellis has been recognized as one of the leading lawyers in California, and rated among the country’s top trial attorneys. Our California law firm has recovered settlements and verdicts totaling more than $350 million. When you work with our lawyers, you stand a much greater chance of being fully compensated for your medical expenses, lost income, future loss of earnings, pain, suffering, emotional distress, and other damages. Because California statutes and laws can be exceedingly complex and time limits are placed on seeking legal restitution, you need a legal advocate with a vast understanding of personal injury law. 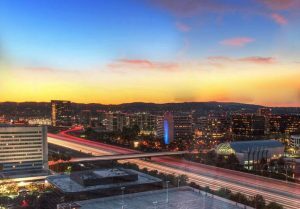 Home to a number of international technology corporations and higher education institutions including a branch of the University of California, Irvine repeatedly ranks among the safest cities in the U.S. It boasts a robust economy and has one of the fastest growing job markets in all of Orange County. While this planned city is a wonderful place to live, work and raise a family, car accidents, workplace injuries and other mishaps still happen daily. Your choice of legal counsel is one of the most important decisions you’ll make following a serious injury accident. Ellis Law is prepared to fight for clients inside or outside of the courtroom, and our dedicated attorneys are responsive to client needs throughout the litigation process. We invite you to reach out to our Irvine location for a complimentary case review with an experienced personal injury attorney.